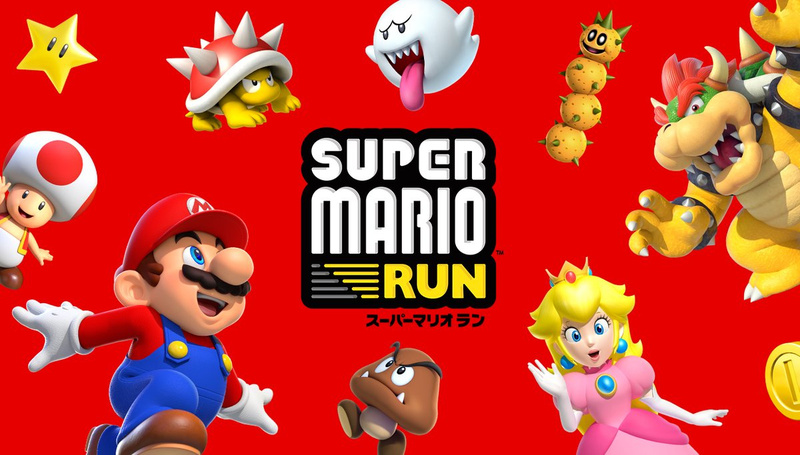 There are currently no plans to produce new content for Super Mario Run, Nintendo has stated. The game launched last week and has been downloaded millions of times, generating a considerable amount of revenue for Nintendo - but it hasn't been without its issues, with players complaining about the high cost and connection problems. While Nintendo has already moved to fix technical issues with the game by issuing an update, new levels, modes and content won't be forthcoming any time soon. A Nintendo spokesman said the company didn't plan to release additional content, either free or paid. Could Nintendo be holding its cards close to its chest until next year, when the launch of the Android version would provide the perfect moment to announce new content, or is this statement final? Let us know what you think by posting a comment. @Damo - I'm still holding out for unannounced stuff of this! Playing Mario on a non Nintendo system may in the short term generate ¥$€, but in the longer term it may have a negative effect on the existing consoles. If this is not the case then there is no reason not to release unique Mario games for the Playstation, it would generate yet another revenue stream. Considering most mobile games evolve over time not adding any extra content doesn't look too good on Nintendo, especially with its premium price. If they want it to remain an evergreen title on mobile then they're going to need to regularly freshen it up or those reviews are going to get worse. @OorWullie it's a fixed price game. not something they want you to spend money on continually. so your whole argument doesn't make sense. 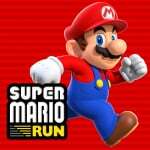 Of course they will release more content for Mario run! Prob when the Android version comes. More money to be made. Sure they will push the switch through this app with notifications I'm sure too. There is a fundamental misunderstanding of the platform here. You need to update this game to keep sales coming, especially if you consider that it's not exactly bursting with content at launch. Personally I think that Mario's debut on mobile should have been a little more grandiose, delivering on all the attention and publicity that it was able to gather. Anyone would think Nintendo don't really want to make mobile games with their legendary inventive creators, and the only reason Mario Run exists is to promote the character so people buy a 3DS or Switch. But of course Nintendo have never continually told people this is what they want to do repeatedly! I've said before that this is clearly not intended to last long-term... it's just a relatively quickly made game to get something released by the end of the year (still falling short of their target). @zool I see what you mean. A unique game on another platform to get the PS4 owners to play the main Mario games on the Switch. But more or less everyone has mobile phones. Nintendo competes with Sony more directly in the home console space in which there are only 3 competitors. Maybe it's best to keep games on Nintendo consoles, only using the phone / tablet space to capture new audiences. Super Mario Run is a pretty full game as it is. Hence the price. Makes sense that there is no additional content planned. Research shows iOS users spend far more money per app than Android. Up to four or five times. Going with iOS first made sense. Saying that, I think dropping the price for Android users is probably more economically sound than adding content to a badly reviewed game that is secondhand. Psst... Nintendo should fix some errors for IOs version, make it better (Offline mode gameplay) , half price for Android version and more contents. Android users will be "Yay...!" I'm a little disappointed. They have released special xmas stuff for your kingdom so would assume they would do more of that. By the time the next seasonal stuff comes around though we will all be done with the game. There's only so many toad rallies you can do. At this point, they can't just release extra, free content for those already onboard. No incentive for them to do so. The sequel is obviously coming eventually, though. However, maybe we'll see more content/better pricing/less restrictions for both versions by the time of the Android release or soon after. I don't know what the dumb negativity is about with this app. I do know that it is fun and I'm having a blast with it at work. 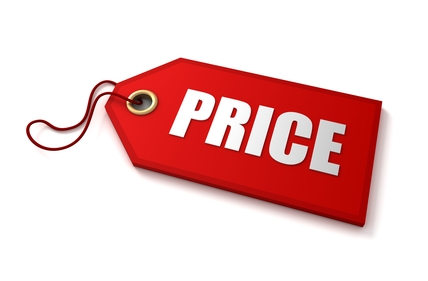 Those people complaining about the price are cheap and lame. Weren't there free levels in the beginning? If you are complaining you are cheap. Why would they release extra content? Developing that extra content has a cost, y'know, and since they won't charge people who already bought the game (since that would break the model), how would they recoup the cost? The app is designed to increase brand awareness in preparation for the Switch's launch. I wouldn't be surprised if an ad or video about the new Mario for Switch appeared in the app after January 12th. @Luna_110 : because that's what caring about your customers/players is about, instead of quick cash-grabbing all you can and then leave it at that. Look no further than the real revelation of the year, Overwatch. You pay an entry fee, and all subsequent updates are free. Those include new characters, new game modes and new maps. Yes, there is a gatcha system that you CAN (not need like, at all, since it's all cosmetic items) pay real money for. But you can also earn them just by playing. Diablo 3, same post release treatment. I'm not saying SMR isn't worth the entry fee as it is. If that's your cup of tea, ofc. But as a fidelity device, which apparently is its real goal, what does it say? Especially to the mobile gamers, who are used to a completely different kind of approach in regards of post release content? That's a shame. I would have been down if they did a DLC model like Mario kart. Give me a couple of characters and stages (like three worlds) for five bucks. Still love Toad rallies though. Not buying the implications here. Nintendo knew going into this that the mobile market expects updates over time and you can search and find quotes about it from official Nintendo sources directly. Also, we already have mild but additional content in the Holiday decorations. I expect at least that to continue. As for the argument that a one-time payment means there shouldn't be continual free updates that is not how the mobile market generally works. Typically even premium games generate interest and continued mindshare with updates in the goal of bringing in more people to buy. In the past it has paid off. Anyway, it could be that Nintendo has decided this game is a one-off and to move on, but I doubt it. As others have mentioned we don't even have the 2nd half of the launch done yet. I said before this that it wouldn't surprise me if new content doesn't get added. If they were expecting users to keep paying either through a F2P model or by charging for the new levels, then adding more levels over time makes sense. However, they're using a one-off payment model. Why would they make more levels if they aren't going to get any more money from current users. No plans for DLC? And we know what this means. Okay, this game is doomed. Even I don't feel like paying $10 (because of a lack of content). Nintendo is treating this like a normal eshop game, not a mobile app, and It's going to bite them in the back sooner or later. I payed for the thing straight after I had downloaded it. I have faith in Nintendo despite shooting themselves in the foot repeatedly. But the damn thing needs an update to get rid of the web connection during non-toad gameplay. I was sat next to my router yesterday and still getting connection issues. Nintendo, master of the quick-play portable game (see: every GB/GBA/DS/3DS game they ever made) has managed to make a very slow quick-play title. I swear, people defend Nintendo on everything. Creating a mobile game that doesn't fit the basic mobile module is a stupid decision. So what if people are complaining that the game isn't free? Pokemon Go is free, and I don't see Nintendo or Niantic losing money. And it's not like that game bombards you with ads like most mobile titles. Mario Run could have easily gone the same route. And the fact that Nintendo has no intention of releasing free updates to a $10 game with only 20+ levels rather baffles me. This is the kind of logic you'd use for a handheld or console game. Not for the casual mobile market. @Hotfusion Although users overall spend less on Android, it does have about 80% of the mobile market, so that's a lot more people than IOS users. I do agree they should do a lower price, at least at some point. I wonder about Animal Crossing for mobile. Will it charge you real money for specific Dreamy Villagers / Exclusive items / Exclusive Clothings, etc ? They need to get rid of the ticket system for toad rally. It should be it's own competitive game. It's a complete game, it doesn't need additional content in my opinion. There is already $10 worth there. More skins would be nice, maybe a Link character to tie into the Breath of the Wild release this Spring. However, it's up to Nintendo. Someone should make the levels from this on Super Mario Maker. Save some money; have some fun; sure they wouldn't work the same but they'd still be sort of fun. There were "currently no plans" either for mobile games, and yet here we are. @Hotfusion It's more like Apple users spend eight to ten times as much spent on average with in-app purchases overall, compared to Android users. People think Apple users are cheap, but Android users (like me) are the REAL cheapskates on mobile. @LegendOfPokemon Exactly. Nobody except people who are already used to buying games off eShop (the complete opposite of the target audience for this game) will buy this. Nintendo, once again, fails to modernise and attract new fans. But you unterstand the '' Market''' huh? I don't understand why people think that the android version deserves to be less than $10........... you spoiled little kids. I'm mixed on this, but overall okay with it. It's just nice to know for once that one payment gives you an entire game today. That's more rare than what it should be. Nintendo needs to keep rolling out content. There isn't that much right now and the game will quickly fall out of attention otherwise. Just adding more levels occasionally could keep the game pretty fresh and interesting. There's only so much 24 levels can do... You collect the coins three times and then learn the optimal route in Toad rally. You grind that for a while, then what? All I here is cheap, cheap, cheap. Sounds like a lot of cheapies out there. There are plenty of successful games that charge 1 price for a full unlock of the game. Minecraft is the most notable example of this. Nintendo has been playing around with pricing and game structure on the eShop and I am sure they have a good idea of what they are doing. I dont know what people expected for an endless runner on mobile. Mario or not, it was always going to last a week and then be shelved. This is mobile gaming. I'm a little worried when this kind of thing is news. @aaronsullivan @UK-Nintendo Sounds to me like you felt entitled to get a paid game that you didn't pay for. Sounds like a scam, the idea is that if you got your money back you don't want the game but you're basically lying to three people. Apple because you didn't really intend to stop playing the game. Nintendo because you essentially stole the game from them. Yourself because you seem to have convinced yourself that what you did wasn't corrupt and that this is really Nintendo's fault. You did it, may as well own up to it. Fudge sake, Nintendo. Is it really that difficult to say: "No comment at this time"? I've never seen a company so unable to get out of its own way. They should make Super Mario Run DLC and make it Android exclusive to stick it to these whiny Apple Brats. They don't deserve any new content. @Clownshoes I don't see how the most powerful handheld to date that doubles as a console, not to mention with some of the best games ever seen on a handheld device, could possibly fail. @zool They should just go 3rd party and stop releasing consoles altogether. As a long time Nintendo fan and game industry follower, I firmly believe this would be best for both Nintendo and their fans. Nintendo would make mad cash and their IP would have massive player base to sell to, therefore they could be more ambitious and increase budgets for their projects. They could also justify reviving franchises that would have no chance on Nintendo platforms these days just due to the sheer size of the potential buyers, then. People act like Nintendo own the iPhone, of course they're not going to make new stuff for that app on the platform. Why would they when they could make new stuff for their actual Super Mario game on the Switch instead? @UK-Nintendo did you delete the other one? @yomanation I don't disagree with that. But keep the handheld stuff. Btw. Who is the mysterious ' Nintendo Spokesman "? @SuperToe You said this so perfectly!! They continue to say the dumbest things without understanding the market they are in. Just like hiding all the detailed information about the switch until two months before release. When will they learn? @yomanation I so agree and have said this many times. Imagine if Breath of the Wild had been developed for the PS4? 50 million PS4's are out there and the potential would be huge. It would look even better and have Sony's help in marketing the game. My fear is that Nintendo doesn't do this soon and just dies off rather than move into that role in a reasonable fashion. I truly believe it is their only option at this point at they seem unable to work in the current market and be profitable. @8bitforever I agree. Imagine what they could do with BotW if they were not restricted by their awfully limited hardware. Those environmental textures look like they came out of Vanilla World of Warcraft. I do think BotW looks awesome overall, but it's definitely held back by hardware. Hmm, except adding new Christmas items to buy in Kingdom Builder...? And a new friendly mode for Toad Rally? I know these are small additions, but they'll release something, you know it. 6 worlds is a pretty measly affair when the standard for Mario games is 8. Especially as it's 4 levels per world and only short levels compared to standard Mario. They'll add more, even if they didn't plan to they'll re-consider their plans.